I am very proud to have been chosen as Head Boy and I am excited for the year to come: to be able to lead and work as a part of the prefect team in order to maintain the high standards at Red House. 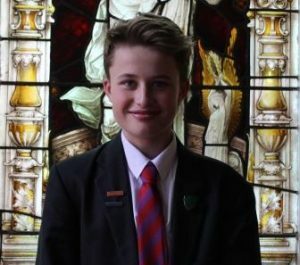 Being Head Boy is an important role within the school as I become a role model to the younger students, and with the help of the Head Girl and prefect team we can lead by example. In this role, I also hope to be able to help students resolve any issues they may have. My favourite subject is maths as I have always enjoyed the challenge it presents and with the help and explanations of teachers, I have understood this subject and enjoyed solving the problems. My favourite hobby is playing hockey, which I developed an interest for during my time at Red House. Playing both in and outside of school is a fun way of keeping fit and I have learned discipline and how to be part of a team during the time I have played.